On June 19, a large container ship left the port of Rangoon, Burma (also known as Myanmar), with the first shipment of specialty Burmese coffee beans destined for a North American market. These aren’t just any beans. Years of hard work went into their production, and the pride of a new coffee market rides with them. 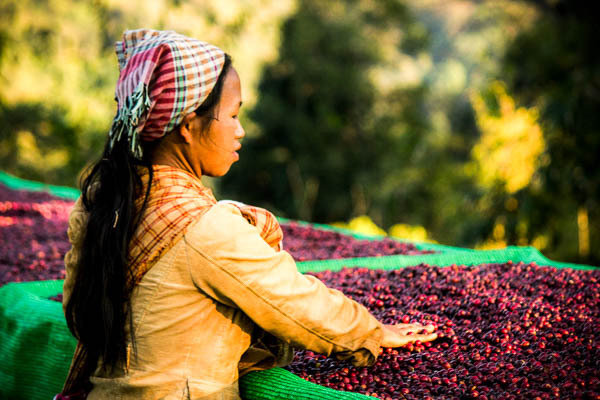 Many Burmese smallholder coffee growers are women. 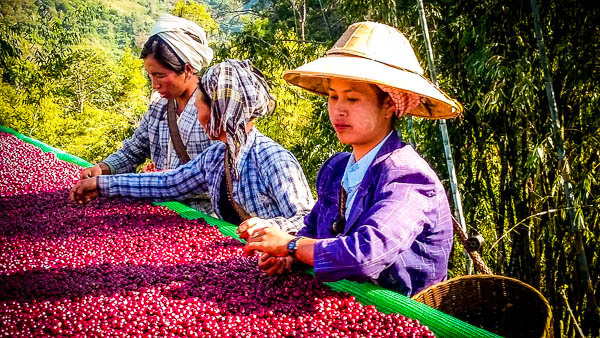 Burma has been growing coffee for more than a century, but growers have only recently aimed for the exclusive specialty market. The journey from commodity to specialty grade was a surprisingly swift one brought about by well-run farms and eager farmers (including many women smallholders) willing to embrace new production methods. One of the new techniques that’s helped prepare Burmese specialty coffee for the world market is drying cherries on a raised, mesh-topped table rather than on the ground. Now Burmese coffee has made its world debut at a recent tasting in Atlanta. You can read more about its success — and Winrock’s part in it — in articles published in Roast Magazine and on Devex.com and the Atlas Coffee Importers website. When the coffee bean cargo arrives later this month, the 36-ton shipment will be split between East Coast and West Coast markets, says Tim May, a communications and outreach specialist with Value Chains for Rural Development, a USAID-funded project run by Winrock International. There it will take its place among other prized Arabica beans. 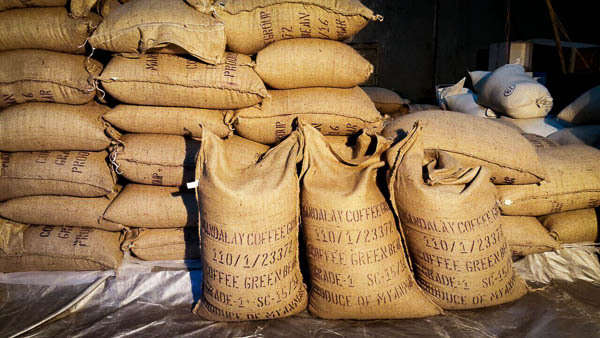 Burmese specialty coffee beans are double bagged in both jute and polyethylene. May and his team have been heavily involved with Burmese coffee, even helping farmers design a logo for the new brand. It’s a profile of a female Myanmar farmer wearing a native hat. Her face is marked with thanaka cream, a distinctive yellow paste made of ground bark. “There aren’t many ‘undiscovered’ coffee growing places left; most of them are already known,” says May. But you might have to search to find a fine cup of java in the country itself. In Burma, most people drink tea. Stay tuned for more stories on Burmese coffee.